Is it bad that we refer to a phone released in 2009 as an “old phone” hope not, but Cellular South is breathing new life into the HTC Hero by releasing it in black. TFTS is reporting that Cell South is selling the new “sexier” black HTC Hero for $80 and you can even buy one get one. Cell South is a very popular regional carrier, in of course, the south. 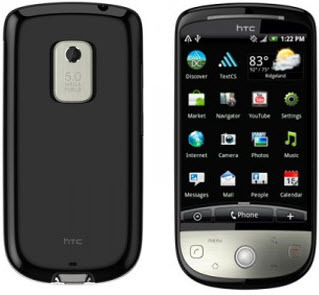 The specs for the HTC Hero, originally introduced on Sprint in October 2009, haven’t changed except for the new casing. The HTC Hero ships with 1.5, however Cellular South has been agressively upgrading some handsets to 2.1 in addition they are expecting the HTC Desire and A Samsung Galaxy Handset. Previous Post« Previous 20-70 Mbps on LTE? Clearwire says yes!